Onederland or Bust! 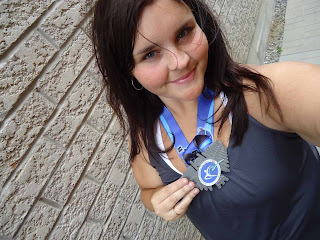 : Feelin' like blahhh and my first 5k! Anyway, my coworker that fills in for me on my fridays off was pretty sick about a week ago and of course she sat at my desk during this time. So when I woke up feeling crappy on thursday and again on Friday I thought for sure I caught whatever she had. Then saturday and sunday came around and I felt perfectly fine and forgot about it. Then monday and tuesday happened and sure enough, I felt like crap again! My head felt like it weighed 30lbs, my throat felt funny and I just felt off. I skipped my runs and my eating hasn't been great. Today, I feel MUCH better! I don't feel tired or off and I'm looking forward to my run after work. Oh and the sun is back out and it's supposed to stay out all weekend - I love me some Vitamin D! I'm guessing my body was just fighting off whatever bug I may have come into contact with. My coworker suggested that it could've been the weather too as it's been gloomy/humid the past little while.. who knows, I'm just glad I feel better. As I've mentioned before, I'm part of a learn to run group at my office. The group consists of about 6 regulars and 3 other stragglers. Each spring for the past 3 years we've started this group and each year I participate and have great intentions, but by the time mid summer rolls around I start to flake out and give up. But times are a changin' and this year I plan on following through and continuing. Yesterday, some members of the group (including me!) signed up for our first official 5k race! Previous years we've run the Terry Fox Run in September, which is an amazing cause and very close to my heart, but it's not an "official" 5k (with shirts and medals) and people are allowed to walk, run, skip etc. So it wasn't enough motivation and I usually ended up walking it. Not this year! 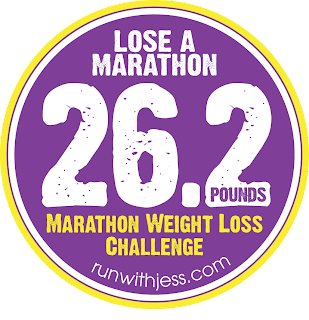 This year I'm going to run the 5k and receive my t-shirt and medal! Oh, did I mention that the race is on June 17th?? Yeah.. 39 days away! I better get running! Good luck training for your first 5k! That's great motivation!